My favourite meal to cook is a big turkey dinner. There is so much I love about it beyond the wonderful food I get to eat when it's done. I love having the house smell amazing all day. I love preparing all the sides. I love impressing people with my turkey making skills. 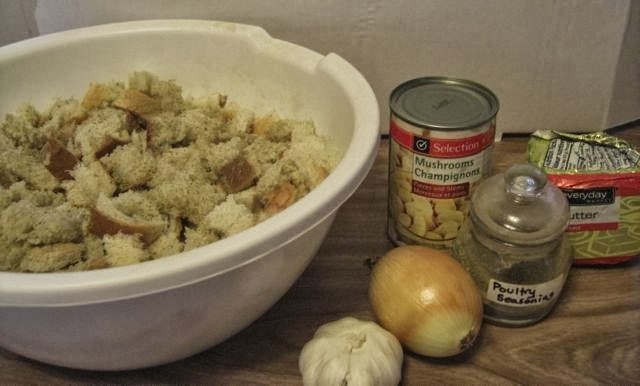 I also love 2-3 days of leftovers and the option of making turkey soup. There is so much to enjoy. For some people, a turkey is just served on holidays. In my family, we throw a turkey in the oven whenever there is an excuse to do so. When I was away at school, any weekend I came home was a reason to have a turkey. Now most birthdays or family get togethers are accented with a turkey. I often make one on my own birthday, as I like making them so much (but this year mom has volunteered). I have a method for making a turkey that works for me (and works for mom, as I mostly copy her method). 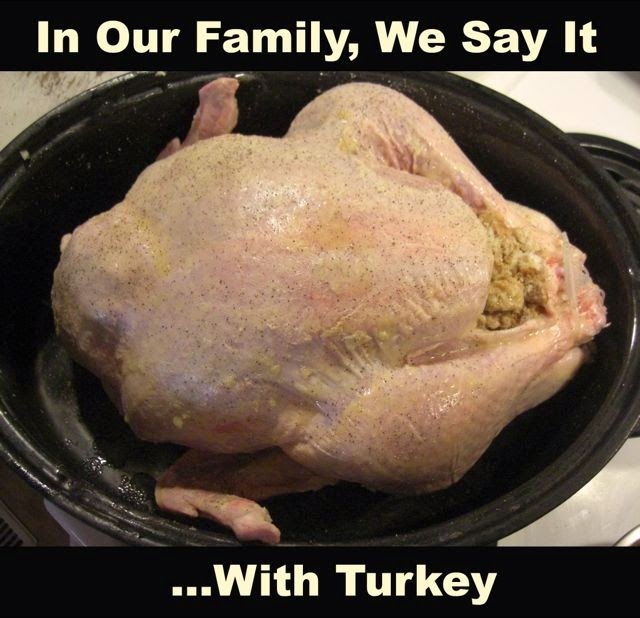 We cook the turkey for a long time, but somehow we don't overcook it. We stuff the bird. We make tonnes of sides. And we have a relaxing and enjoyable time preparing it. 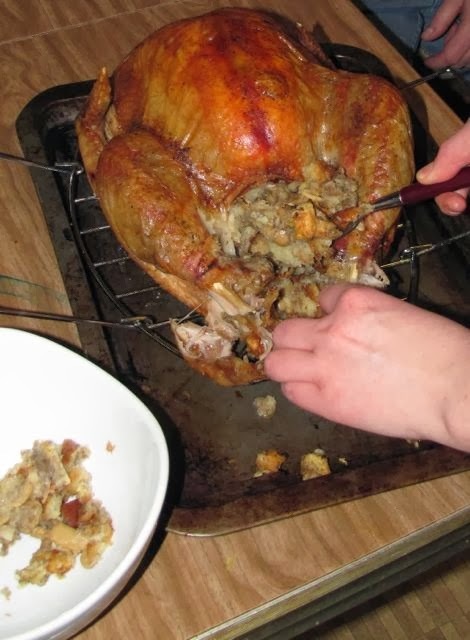 If you've never made a turkey before, there are some safe food handling concerns regarding preparation and ensuring the meat and stuffing are cooked to the proper internal temperature. For a good overview of how to make a turkey safely, please check out Butterball's Turkey Safety Tips and Turkey Ontario's How to Prepare a Turkey. 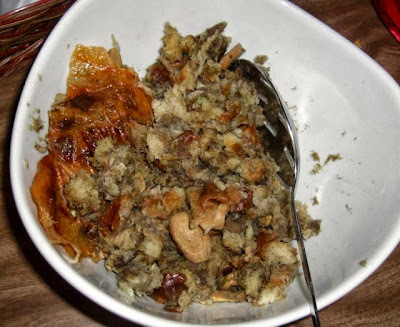 I will let the pros provide a step by step guide for cooking turkey, but the following are some of the things I do to have an awesome turkey dinner - every time. An important aspect of cooking a turkey is getting a turkey deal. 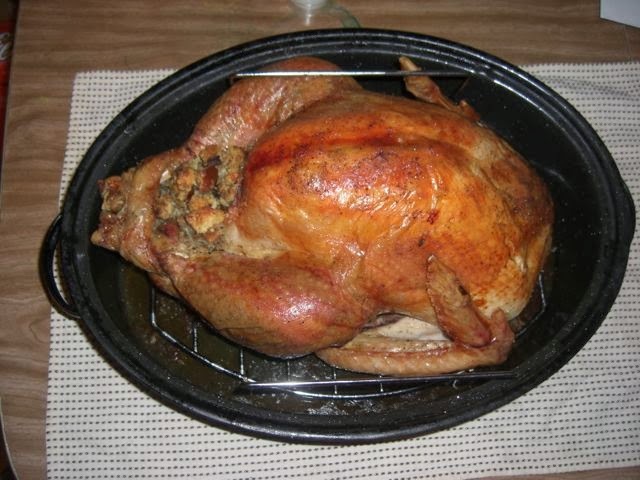 For me, a turkey deal is when the price is $0.99/lb or less. I love getting a turkey for $10, and a 10 pound turkey is my favourite size to prepare. There's enough for dinner with guests with the perfect amount of leftovers (too many turkey leftovers can be too much of a good thing). With Thanksgiving sales this past week, I got two 11 pounders at the $0.99 price point. Gotta love the turkey deal! 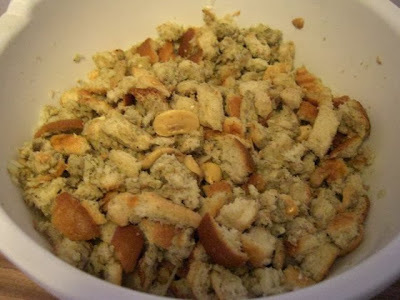 On the day of cooking, with a completely thawed turkey, I make my stuffing. I like a simple stuffing: bread, onion, garlic, mushrooms, poultry seasoning, salt and pepper, and butter. I use a turkey rack (when I remember) which makes removing the cooked turkey from the pan so much easier. 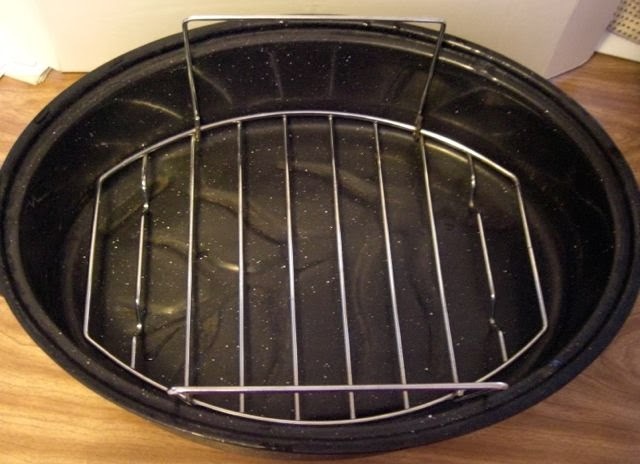 Because I like to cook my turkey for a long time, it has a tendency to fall to pieces when taking it out of the pan, but the turkey rack helps keep it intact. 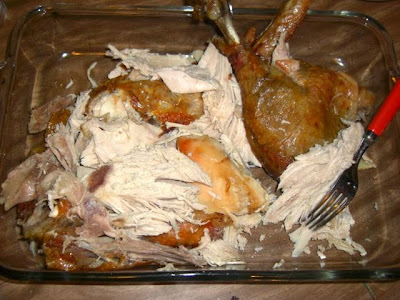 I stuff the bird right before it goes into the oven, stuffing the cavity and the neck. 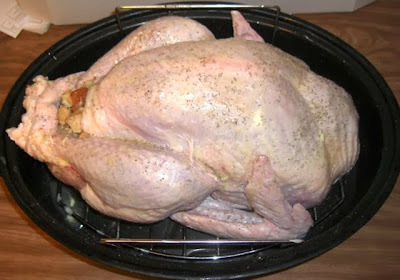 I sprinkle the turkey with salt, pepper, and some melted butter, and into the oven it goes at 325°F. The turkey cooks throughout the day and I relax. I baste it periodically, but mostly I just let the oven do all the work. I do spend some time preparing sides, but I find that relaxing. Early in the day I peel potatoes, prepare and mash a sweet potato, and chop broccoli and carrots. I usually aim to have my turkey done at 5:30pm and then it is Go Time. The turkey comes out of the oven and settles for half an hour while I hop around the kitchen. 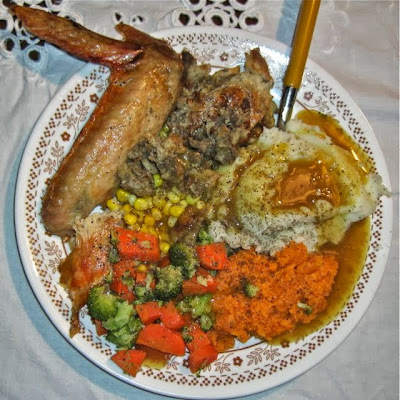 The potatoes get on and boiling then mashed, the veggies get steamed, the gravy gets prepared, and the sweet potato gets reheated. Finally the stuffing comes out and the bird is carved. And the beautiful dance that is turkey dinner is complete and is ready for consumption! After dinner is done and (most likely) pie is consumed, I head back to the kitchen and de-bone the turkey. All the meat gets stored in a convenient tupperware for the next few days of leftovers, and the bones are frozen and saved for some fantastic turkey soup. So so yummy. And I love making turkey soup. Very nice taste.